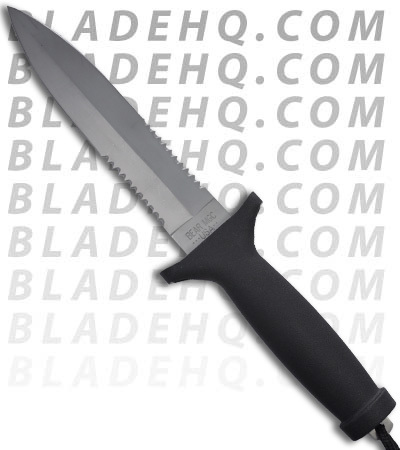 The TAC II fixed blade knife features high carbon stainless steel serrated edge dagger blade, double edge. 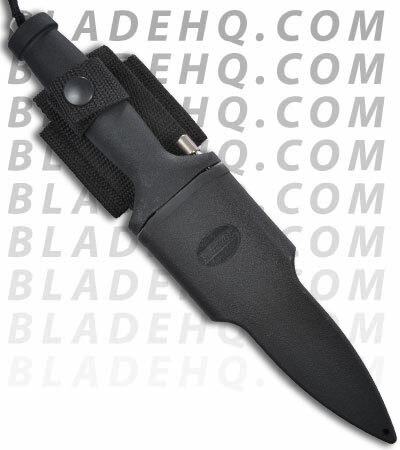 Handle and guard is made of black zytel and comes with a lanyard. Unique black Zytel locking sheath keeps knife secured. Designed by Blackie Collins. Made in the USA.